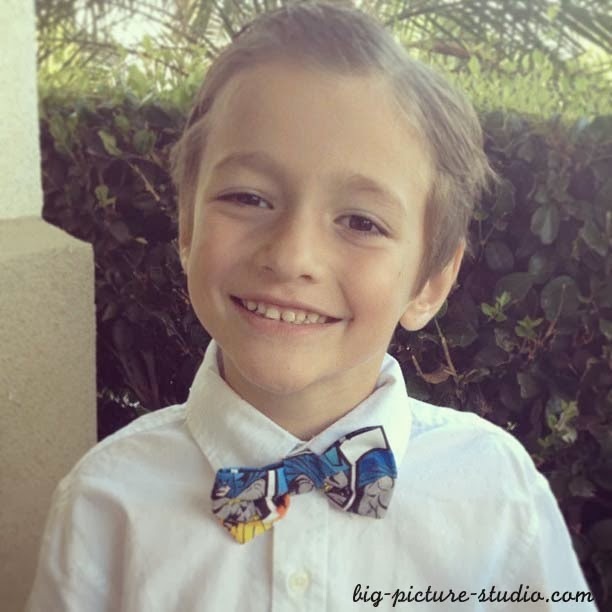 When my almost six year old came to me recently and said he would really like to have a bow tie, I was pretty excited (even if the only reason is so he can look like "Jerry" from Tom and Jerry). We went online shopping together (for the first time) and found this adorable bow tie faster than you can say etsy. He wore it for kindergarten picture day and I melted.